Ballet's blue tribute to Gershwin Jump to media player English National Ballet recreates the razzmatazz of the 1930s in Strictly Gershwin. Dance music played by classical orchestra Jump to media player A German classical orchestra is attempting to create the sounds of electronic dance music using trombones, pianos and violins. 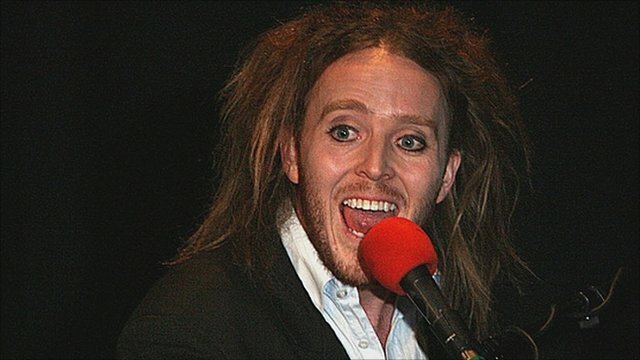 Minchin: 'I'm not crass and shocking' Jump to media player Musician and comedian Tim Minchin talks to BBC Breakfast about his orchestra tour. 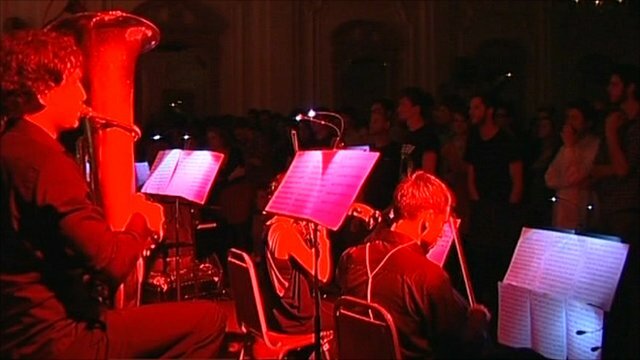 A new orchestra in the Pakistani city of Lahore is causing some excitement in the world of jazz - and turning around their own fortunes at the same time. 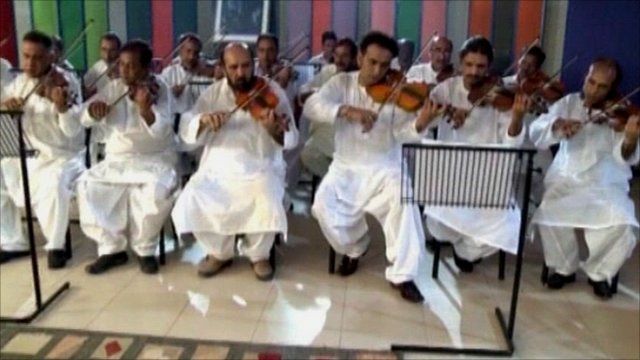 For years, classical musicians in Pakistan have faced tough times. As well as the issues everyone else in the country is facing, their profession all but died. Most had been making music for the Pakistani film industry but the increasing influence of religion in society, and the easy availability of Indian movies, meant the industry collapsed. But the Sachal Orchestra is sparking something of a revival. Their first jazz album Sachal Jazz was released recently. The veteran American jazz musician, Dave Brubeck, described their interpretation of one of his tracks as "the most interesting recording of it he has ever heard". Aleem Maqbool reports from Lahore.